Sickboy has finally released his iconic Temple models. Hand-Cast Resin Temple Models which have been produced as a four-strong series representing Love, Peace, Happiness and Death. 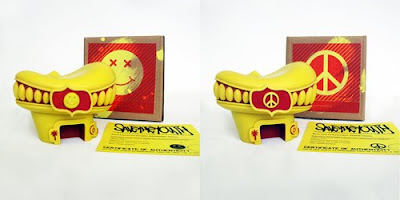 Each edition is a super-exclusive run of 25 and features an emblem of one of Sickboy’s signature symbols: a heart, a peace sign, an acid face or a skull. 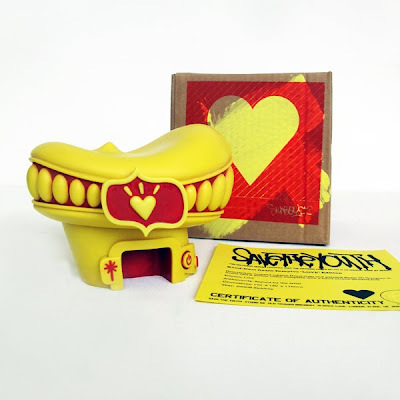 The highly-anticipated 3D Temples are produced in the red and yellow Sickboy colour palette (painted red with a yellow resin), are hand-signed and numbered, and are presented in a special screen-printed box. The Love edition is already sold out, but the other 3 are still available for £150.00 each + P&P over on Sickboys website here.